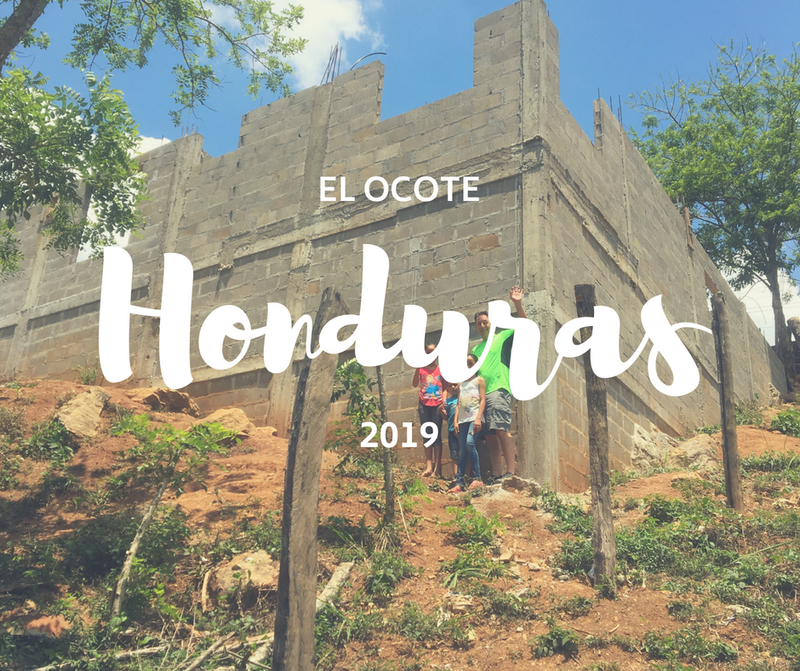 Finish the Wall is headed to Honduras in 2019 to complete a church in El Ocote. The church is located in the mountains serving a rural community. It is literally being built on the side of a mountain! Pastor Sandis Vallecillos and his wife Kelin have been serving this community for the past 11 months. He has been discipled by Pastor Jeremias, his cousin, since committing his life to Christ in 2015. Currently, they host four church services a week: Tuesday, Thursday, Saturday, and Sunday. We will be staying in the place that we stayed in on our 2017 trip! Trip cost this year will be $1700 per person. To register for this trip click here! To make your deposit, click here! If you are unable to travel with us this year, you can still be a part of this! The cost per participant does not include any of the building cost and we cannot build the building if we have no funds! Please consider a gift toward the building fund, toward a participants trip, or both! We cannot do this without you! Here are some commonly asked questions about the trip. What do I need to know to go on a Finish the Wall trip? • Each participant must complete a FTW waiver form. • Each participant must possess a current passport that is not within 6 months of expiration. • Each participant is responsible for raising the money for the trip in its entirety. • Each participant agrees to not use alcohol during the trip. Who is in charge and how are materials sourced? FTW provides a project coordinator who is on-site throughout the duration of the project. This person works closely with the partnering organization and is intimately involved with the planning and details of the project. He will prepare the environment, acquires materials, confirm transportation, and troubleshoots everything before the project begins. There is also a team leader that is assigned to every team that is responsible for communicating with the team prior to the trip, preparing devotionals for the team, and handling the day-to-day details once on the ground. Each team will attend an individual team training meeting and an all-team rally before the project begins. The trip logistics team determines the need for food and lodging on each trip. Typically, we stay on-site or nearby the project we are working on and our meals are provided by local cooks. We also pack snacks, desserts, Gatorade and other things if we cannot get them in-country. We will assess the needs at each project site and determine whether it is safe to drink the water. If we cannot drink the water we will have bottled water available at all times. What types of immunizations/medications will we need? We will be staying on-site or near the project site. Typically all bed linens are provided but you are free to bring your own sheets and a blanket if you prefer. See packing list for more details. Men and women will have separate sleeping areas. Will we be able to communicate with family while we are there? Wi-Fi is usually available for use on each project. It is best to download the WhatsApp app on your smartphone so that you can call directly home when connected to wifi. Whatsapp will allow you to text without charge once you are connected to wifi. We will post pictures to the FTW Facebook page regularly throughout the project. Will we do any sightseeing while we are there? We will spend half a day on an adventure of some sort. All expenses are covered in the cost of the trip, so you will not need any additional money for that day. You are limited to 1 carry on and 1 personal item. Further training will be scheduled for all participants on Finish the Wall trips.